UPDATED 27th Feb 08:00 GMT: Following publishing of this article, Extreme Fliers re-uploaded their Inspire 2 comparison video to utilize the full resolution version instead of a degraded 1080p version, however as of this date they have discreetly put the old video back in place on the campaign page, this is a very dirty sales tactic. 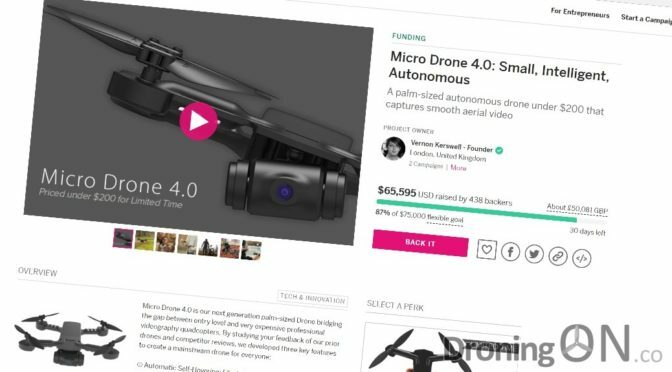 Micro Drone 4.0 has launched on the Indiegogo crowdfunding platform with a number of perk options. As a successor to Micro Drone 3, it incorporates an entirely revised flight controller, camera, sensor-set plus a mechanical brushed 2-axis gimbal. But with the introduction of far more complexity into this little drone, are Extreme Fliers capable of producing a reliable and successful product this time, and to deliver it on time? The Micro Drone 3 flight controller boards were notorious for failing. During our DroningON review of three such aircraft, two failed with barely any flights completed. 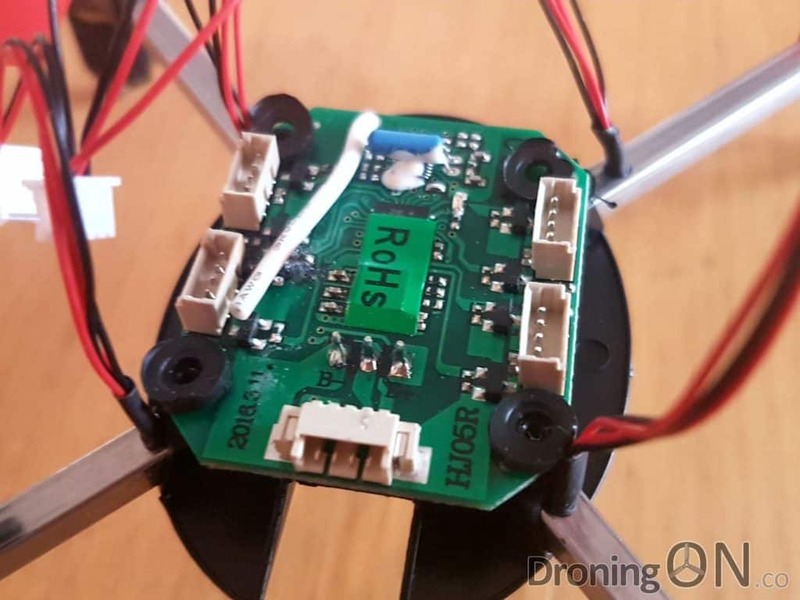 We have reviewed several of the Micro Drone range over the years and while these can be fun little quadcopters, they have always suffered from eventual hardware failures and unreliability, despite their simple design and construction. 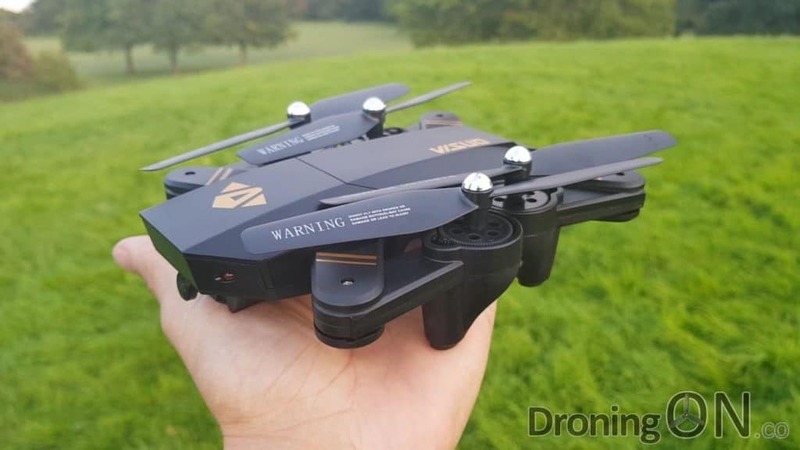 Extreme Fliers drones are not cheap either and generally retail at around $90/£60, consequently quality control issues can be very frustrating for the end-user. Comparable drones can cost half as much and yet provide a more satisfactory product with additional functionality such as altitude hold and higher quality camera. 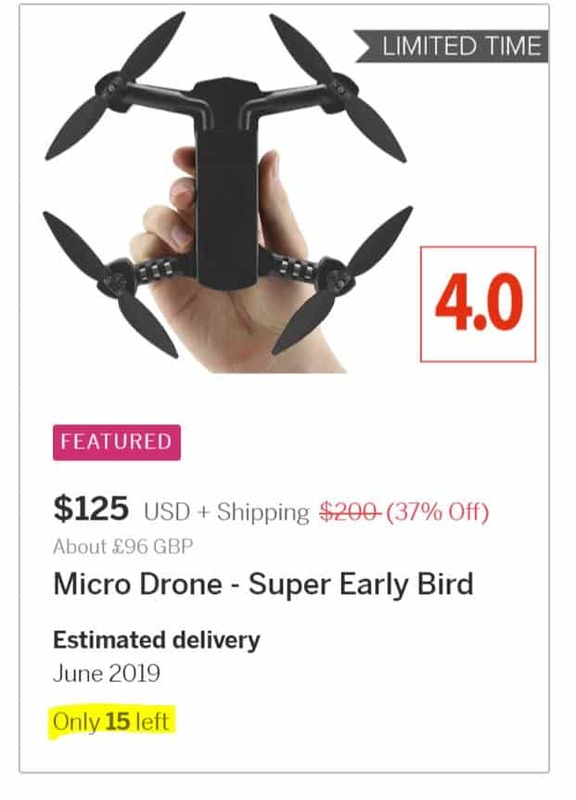 A point of contention from backers in the community has been their use of misleading, embellished or faked promotional videos as witnessed with the Micro Drone 3.0 campaign back in 2015 which frustrated many customers. 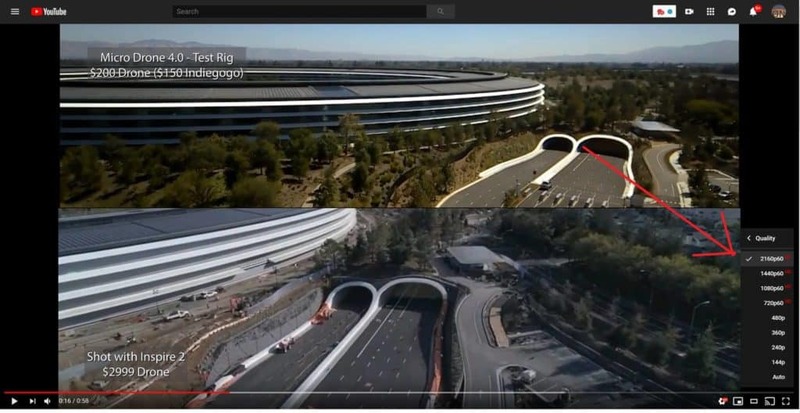 The promotional video showcased footage which had clearly not been captured with Micro Drone 3. 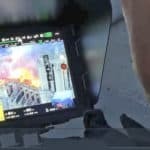 In addition, a recent promotional video created by Extreme Fliers to market their ‘Carbon Racing Drone’ was criticized by DroningON for using stabilized footage, the video was immediately pulled and the offending footage swapped. 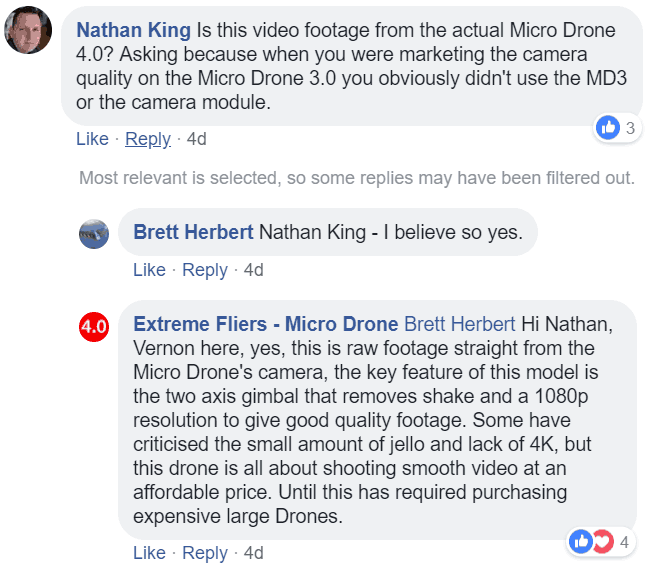 A comment posted to the Extreme Fliers Facebook Page in response to a post containing ‘sample footage’ from the new Micro Drone 4.0 product. 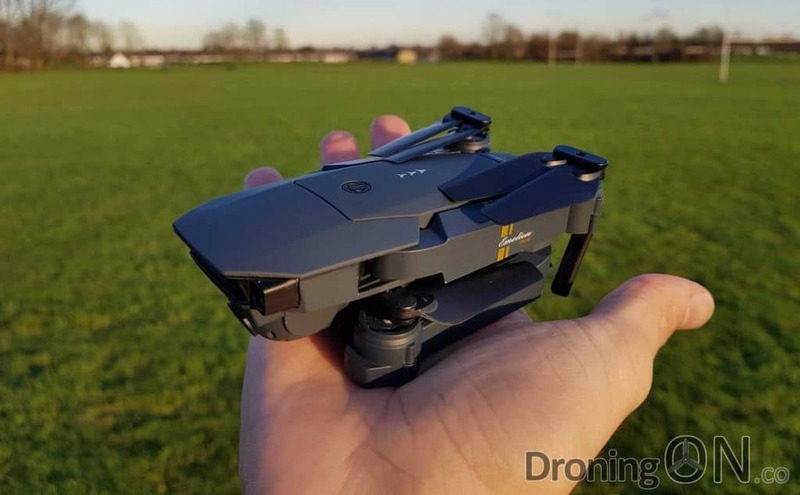 In our review of the Micro Drone 3.0 drone a few years ago, we highlighted the dissatisfaction from backers of the campaign and we pushed for Extreme Fliers to provide answers to disgruntled consumers. 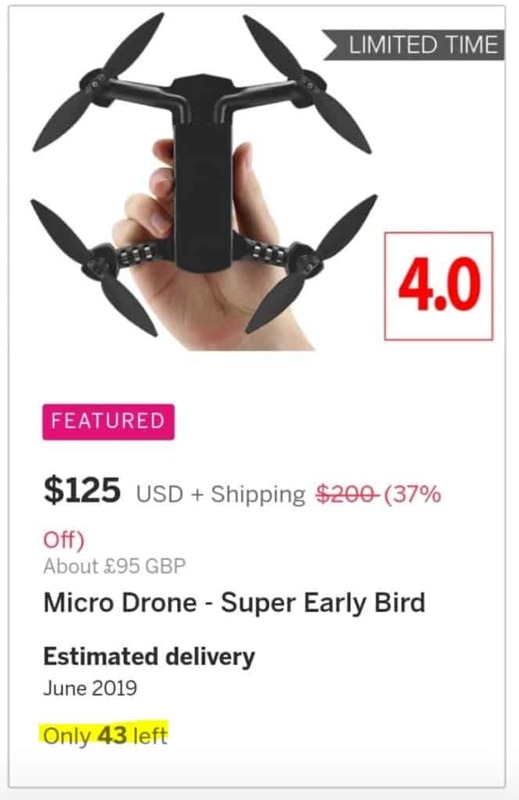 Unfortunately, the Micro Drone 4.0 campaign appears to be no different and contains misinformation, a questionable sample comparison video as well as other errors, all detailed below. 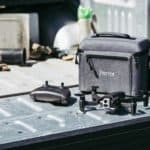 Consumer drones such as the ZeroTech Dobby, DJI Spark, Phantom and Mavic all incorporate multiple GPS systems (global positioning system), this is an essential element for a drone as it tells the drone where it is, whether daytime or night. Micro Drone 4.0 does not have a GPS chip in its current form, therefore it will only hold its position based on what it can see with its cameras. However, fly a drone dependent entirely on optical positioning above a large green field where there are no distinctive points of reference and the drone will drift. We feel that the campaign does not clearly explain this, many backers will not have understood the consequences of using a drone which is not equipped with a GPS system. “After reading this, it made me realize that I may have jumped the gun and therefore I retracted my contribution and requested a refund. The fact that it’s not a GPS drone means its solely relying on the vision technology, which like you said (like the Mark drone) it’s OK but very unreliable. I have the Mark drone, which I’ve only flown indoors, but it is scary at times when it seems to lose its orientation and starts to do go out of control. This is not what you want to happen when flying a drone, whether you’re a beginner or an experienced pilot.” (Sam Avella, Backer). On that basis, our advice is that Micro Drone 4.0 should ideally only be used indoors or only flown outdoors in close proximity to yourself, they should not be flown long-range and certainly never out of visual line of sight (LOS) due to the risk of a fly-away if the drone was to lose awareness of where it is. Last year, we received a new drone from High Great called the ‘Mark’, it was one of the first autonomous drones that we had tested to feature VIO (Visual Intertial Odometry) instead of a GPS chip. Following comprehensive testing (see video below) our advice was to avoid flying such drones outdoors because without GPS, the drone can never truly be aware of where it is geographically. Another key point to consider is that Micro Drone 4.0 may struggle to be flown in the dark or outdoors at night due to the lack of GPS. The optical flow cameras will not be able to fix on any point of reference and therefore the drone will probably drift/fly-away. If there is partial lighting and objects can be seen by the cameras, then it may maintain position but a loss of object visibility may cause a loss of the drone. 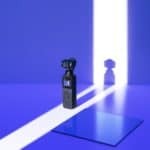 The promotional video accompanying the Micro Drone 4.0 campaign includes a highly questionable comparison with the premium DJI Inspire 2, a well respected $3000+ professional drone. The split-screen comparison is entirely misleading and does not reflect the true video resolution of this film-grade Inspire 2 drone, it has either been purposely degraded in quality or zoomed to an extent which has deteriorated the resolution. A screenshot from the sample comparison video provided by Extreme Fliers as part of their Indiegogo Micro Drone 4.0 crowdfund campaign, showing a split-screen with the degraded resolution Inspire 2 footage shown at the bottom (click to view larger). Extreme Fliers claim that the issue with resolution is due to the comparison video being downloaded directly from YouTube at 1080p but this must also be called to question. Using YouTube download tools does not degrade quality if downloaded at the required resolution. Here is a sample of some genuine DJI Inspire 2 footage captured at only 1080p, despite the lower resolution the footage is crisp and sharp, unlike the footage shown as comparison in the Extreme Fliers promotional video. UPDATE 27/02/19: On 7th February Extreme Fliers replaced the original video with a new video which more accurately the quality from the Inspire 2, they also replaced the video embedded into the campaign. However, a DroningON member has just pointed out to us that Extreme Fliers has discreetly put the old video back in place. If Extreme Fliers respected their consumers and backers, they would never have sanctioned this poor and incorrect comparison. 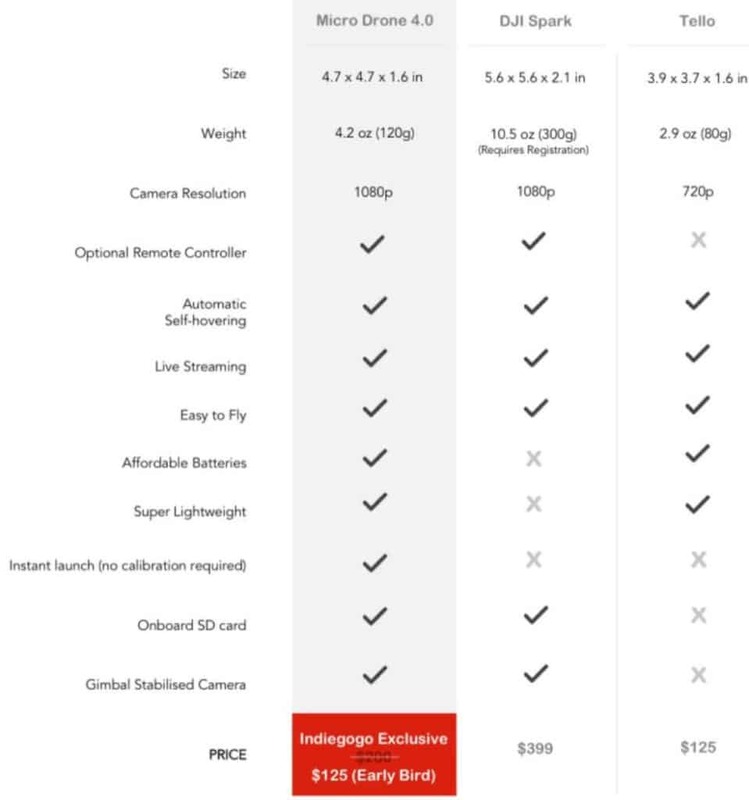 The drone comparison chart featured as part of the campaign states that the DJI Tello retails at $125 which is incorrect, it was launched at $99 and has remained fixed at that price-point ever since. 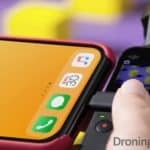 It also incorrectly states that the DJI Spark does not support ‘Instant Launch’ when actually DJI pioneered this concept, launching a drone without a phone, app or controller simply by pressing the power button and launching from your palm. The comparison chart featured as part of the initial Indiegogo campaign page for the new Micro Drone 4.0, containing inaccuracies. It states incorrectly that the DJI Tello does not support optional remote controllers when actually numerous bluetooth controllers are available to bond with the Tello, all available direct from DJI. One Indiegogo user noticed that Extreme Fliers are using the ploy of dynamically adjusting the ‘Super Early Bird’ perk available count. This generally ‘limited’ perk is the most heavily discounted option available when a crowdfund campaign starts and quota available for this early discount is normally set low as an appreciation for early backers, but in this campaign the feature is being misused. The campaign owner can adjust the available perks at this level in the case of the Micro Drone 4.0 campaign, the perks available have been moved upwards as they have started to run out. Not only is this unfair and disrespectful for the early backers of the project but it is also a dirty sales ploy. Should you buy Micro Drone 4.0? Our advice for any consumer considering investing in a crowdfunded drone campaign is to avoid. Instead allow the product to evolve organically and to succeed on its own merits, then consider buying once it reaches the retail market. 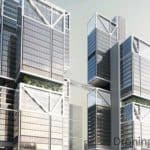 This allows the product, the firmware, app and customer services to evolve and to tweak any inefficiencies. It might prevent smaller startups from growing, but if those smaller startups have a good product then they will not need to depend on crowdfunding. We admire the enthusiasm from Vernon, CEO of Extreme Fliers, but we cannot ignore the past issues with products from this company.